Project management is a set of activities which includes initiating, planning, executing, controlling and closing projects. It’s a discipline that gives you principles, techniques, and tools to help you finish things on time and within budget. The essential pillar of strength and support that holds up the entire project is the team of highly productive people who entirely devote themselves to it and make an all-out effort to get the job done. Project management consists of a number of interlinking processes. A process is a series of actions performed by a team of people who work towards the same goal. initiating - recognizing the beginning of the project or a phase and that one phase can continue into the next one. Initiation process keeps the team focused on the business or halt the project if it fails to meet all the needs and preferences. planning - creating a workable scheme that will include clearly defined activities, cost estimates, schedule development, and resource planning. executing - carrying out the processes which are followed by regular information distribution and team development. closing - gathering all the necessary data to ensure that the projected is completed. The processes do not necessarily follow a chronological pattern. Both in life and business, some things can get out of hand and are sometimes difficult to control. 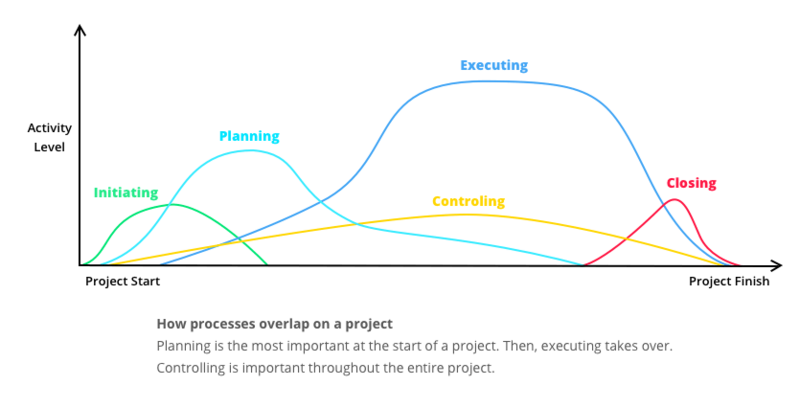 This is why processes usually overlap throughout different phases of the project and become ultimately dependent on one another. Processes are linked by the outcomes they produce - the result of one process becomes an input to another. For example, the planning process provides the executing process with an early project plan. But the planning process is not over - it continues to play a role as it updates the plan as the project progresses. Project planning is the most significant process as it should help you clearly lay out all the details of the work to be done and predict possible hurdles you will need to overcome along the way. You can’t accomplish any projects masterfully if you rely only on this framework of clearly defined processes. Project management is both a science and art. Each project is unique and tackling all the stages and issues that may arise is almost impossible without a little bit of intuition and flexibility. You cannot know what steps you will be forced to take in order to achieve predictable results. The key to project success is a good methodology combined with excellent intuitive skills. Projects have been practiced ever since the first human community was established. Plato writing the Republic, Michelangelo painting Sistine Chapel, Nikola Tesla’s designing the modern alternating current electricity system, Jorn Utzon building Sydney Opera House - all of them were the projects that moved boundaries of human understanding. These huge and complex projects were endeavored by masterminds who invested a considerable amount of time, energy and strong will to achieve their ultimate goal. The incredible impact of modern technology has changed the face of business. As a result, project management became an essential part of any project, no matter how big or challenging it is. People realized that using intuition and a mountain of paper documentation was neither efficient nor sufficient for running a successful business. Instead, they started viewing project management as a separate discipline, an invaluable methodology that will help them deliver the best possible results. They needed a well-defined, well-thought and more disciplined process that will help all the ambitious entrepreneurs and their teams manage a project with a breeze. Every ambitious entrepreneur has high hopes when starting a new project. Diving into a new project can be highly rewarding, but it also means taking on big risks. How many of us have successfully completed our projects without spending more money or investing more time in it? Good communication flow is crucial for any successful business. Today’s technology has done wonders when it comes to handling and distributing information worldwide. 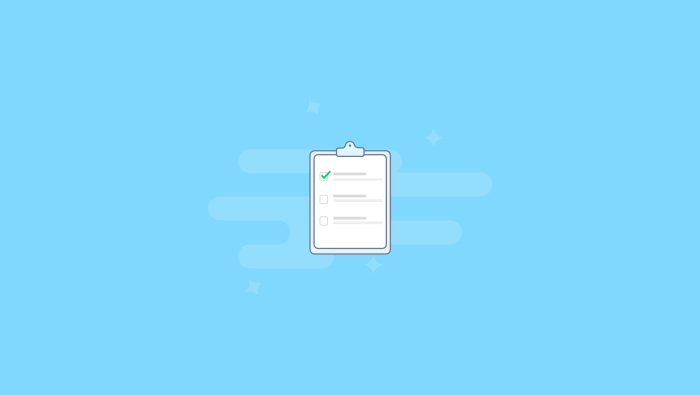 There is a huge selection of integrated project management and communication tools that will help you control your activities more efficiently and make your team more productive. A project management tool helps virtual teams communicate better and be more productive. However, you shouldn’t rely too much on technology because there are always some jobs that are not suited for it. A number of business has skyrocketed over the last few decades and, according to research, as much as 55% of businesses understand the value project management delivers. But, not all of them practice it. Instead, many companies still rely on spreadsheets and interpersonal communication and, as a result, they fail to achieve the best possible results. By using project management software, you will be able to handle information in a more affordable way and leverage your team’s productivity. It’s a true lifesaver for busy business owners looking for a way how to deliver their project in the most efficient way. Long are the days when project management was viewed as merely a highly technical discipline. Today, project management is no longer a tedious time-consuming job as it used to be. Due to the ever-growing array of business, managing resources and handling team communication has become a real challenge. As a result, project management has become instrumental for managing any business successfully.